We are so pleased to share that our own R.H.W. Dillard has been honored by the Fellowship of Southern Writers with the Louis D. Rubin, Jr. award for his service as a literary mentor to students and colleagues. 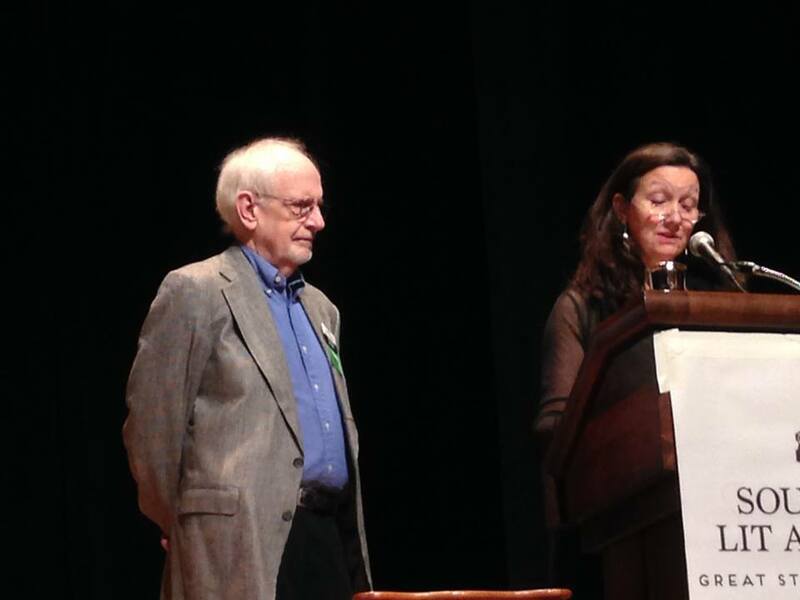 Professor Dillard is the first recipient of the award, presented to him by author Jill McCorkle at the 2015 Celebration of Southern Literature in Chattanooga, Tennessee. Professor Dillard was also on a panel called “Poems and Their Backstories” with Rita Dove, Andrew Hudgins, and Maurice Manning. Congratulations, Professor Dillard, and thank you for all you do!